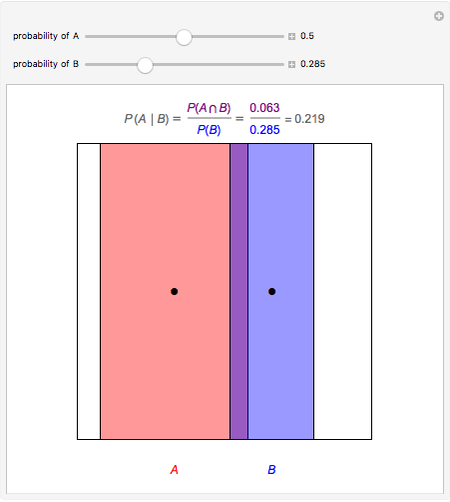 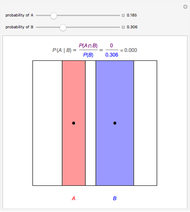 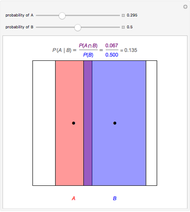 In elementary probability, the conditional probability of an event given an event is the ratio , provided . 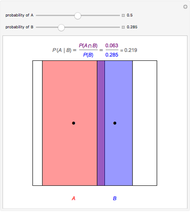 Visualize the events as plane regions (rectangles here) and their probabilities as the areas of those regions. 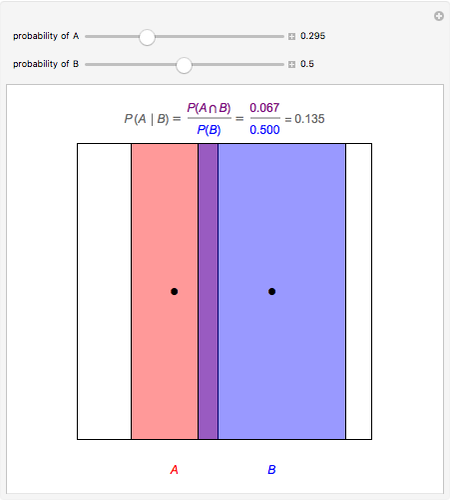 Then the conditional probability is the fraction of 's area covered by the overlap of the two regions (purple). 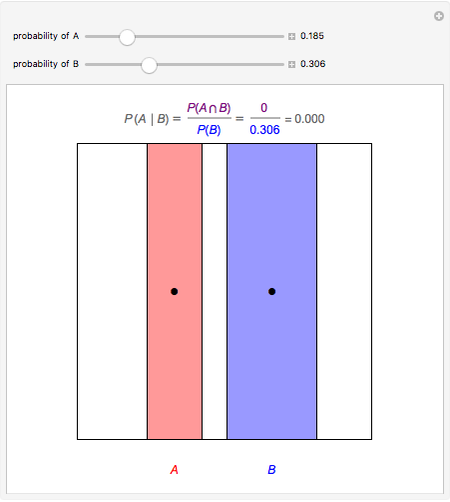 Use the sliders to adjust the probabilities (areas) of and and the black locator dots to change the location of and , thereby changing the overlap.